…made me forget whatever was bothering me earlier today. 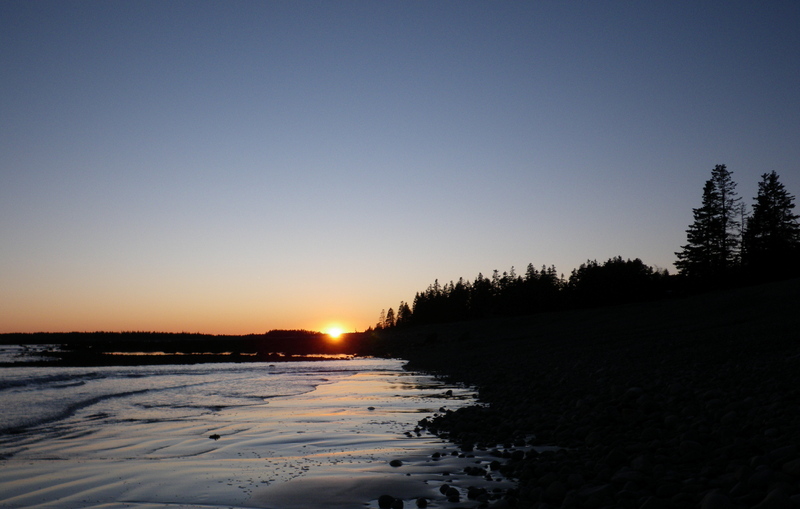 As the tide went out, miniature rivers showed up in the sand; their banks catching the light of the setting sun. Balm for the soul. Nice…send it to the paper! Thanks Holly and Susan, (and Sarah!) 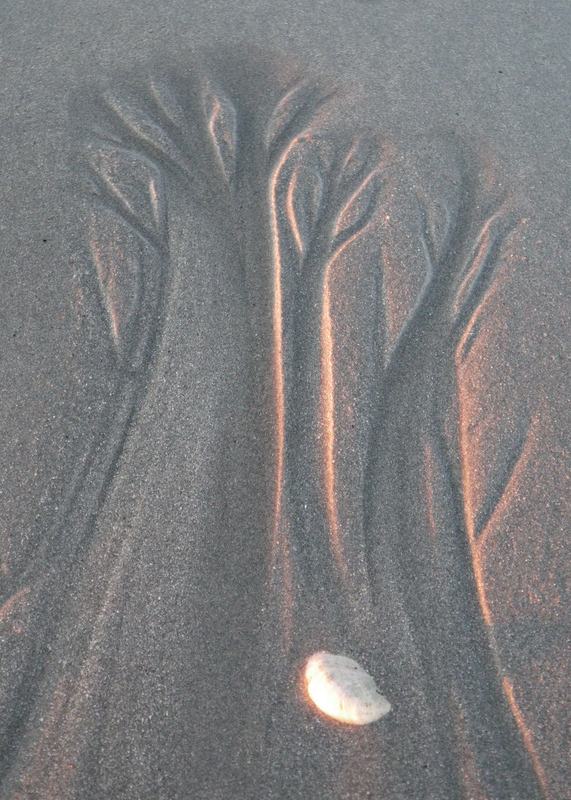 What is weird about the “trees” is that they look raised in the photograph, when actually they were recessed in the sand. Wow, Holly. Glad you didn’t get cut. 15 jobs??!! Hope you don’t have to teach math…..